The First Lady is planning a trip. Michelle Obama announced Friday that she’s heading to Africa on an official visit later this month. Mrs Obama will stop in South Africa and Botswana to continue her work encouraging young people around the world to become active in their countries. The First Lady will visit Johannesburg and Cape Town in South Africa and Gaborone, Botswana, during the June 21-26 trip. 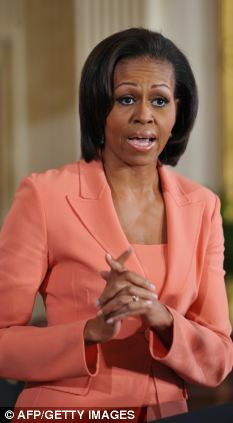 Besides youth leadership Mrs. Obama will also focus on education, health and wellness. Officials said the visit will highlight the important stake the U.S. has in the success of Africa’s many nations, as well as the historic ties between Americans and people who live in Africa. President Barack Obama’s late father was Kenyan. South Africa is a political leader and economic powerhouse in Africa, and an example of a successful democratic transition on the continent. Botswana has held free and fair democratic elections since gaining independence in 1966. The trip will be the second one in which the first lady travels abroad without the president. She will be accompanied by her daughters, Malia and Sasha, and her mother, Marian Robinson. I don’t blame her for not visiting Kenya.